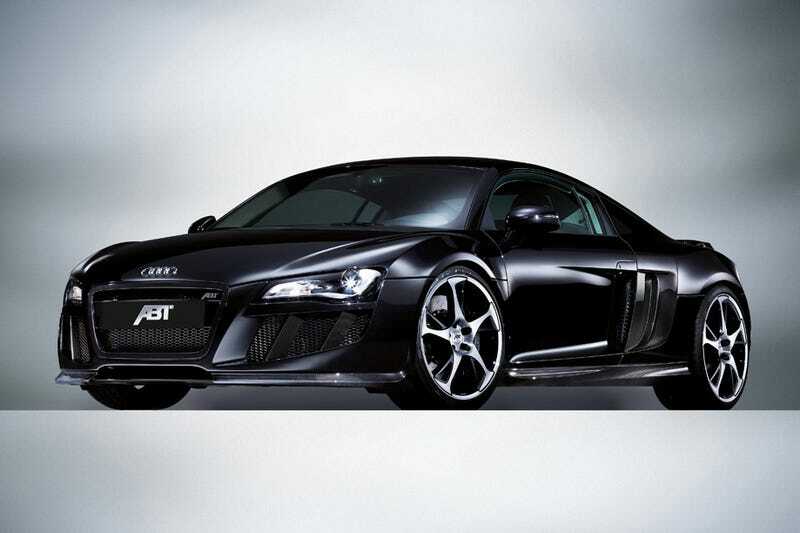 The ABT Aud R8 V10 makes a stunning 600 HP, adding an extra 75 horses atop the already-powerful V10. But, since the boys at ABT are addicted to power and going really, really fast, it seems appropriate. In fact, the modifications required to bump output on Audi's 5.2 liter V10 are a new exhaust system and a bit of reprogramming. Of course there's also a new set of wheels in the deal, a body kit and some carbon fiber pieces, but really it's all about looking sinister and going fast — just what Anakin's coke dealer would need. More details in the gallery ahead. well as increasing the torque. The super sports car is presented on BR-type 20-inch wheels which suit the classic design. the 600 ABT horsepower contain, what the dynamic design of the car promises.